The fourth and latest addition to our Hiru Ayurveda resorts offers our guests the perfect opportunity to relax and take a spiritual break. Due to its inviting location, slightly recessed, yet near the beachside, the Ayurveda resort in Ahungalla is especially idyllic. The bungalow complex is situated in the middle of a private garden with lovingly designed paths, a small pond and inviting pool. You can also take a short, two-minute walk to reach one of Sri Lanka’s most beautiful sandy beaches. Each of our five guest bungalows encompasses two rooms, where you have the choice between a room with a terrace on the first floor or a room with a balcony on the ground floor. The rooms’ cozy atmosphere is created through the beautiful contrast of the dark woods and otherwise light and bright décor. Each of our 40 m2 standard rooms is equipped with a modern bathroom with shower and toilet and a four-poster bed with mosquito net. The rooms offer further amenities such as air conditioning, fan, safe, hair dryer, refrigerator, electric kettle and comfortable sitting area. Enjoy the wonderful panoramic view over the pool and the beautiful garden either from your room or from the sunny terrace. 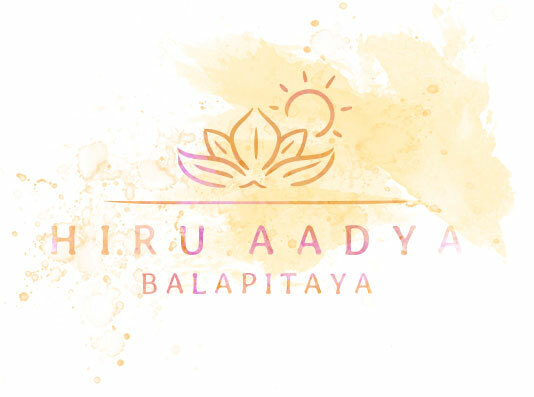 The Hiru Aadya team, consisting of two doctors and six therapists, takes care of your personal needs and holistic well-being. During your stay you can enjoy all features of the classic Panchakarma-treatment: starting with the vitalization and regeneration of your immune system the Ayurveda treatment will further aid the process of restoring and strengthening your immune defenses. For a detailed initial diagnosis the doctor will determine your individual constitution type and dosha, which is decisive for your further Ayurvedic treatment. You will receive up to five treatments daily, such as oil massages, herbal and steam baths, daily yoga, tai chi, meditation, music therapy or a flower bath at the end of your stay. Further, you will also benefit from our traditional and varied cuisine, which significantly contributes to your successful Ayurvedic treatment. You can enjoy your meals in our airy restaurant with a direct view of the garden. At the resort you have the chance to learn how to prepare Ayurvedic meals that suit your individual constitution type and dosha, so that you can easily include these recipes into your everyday diet. 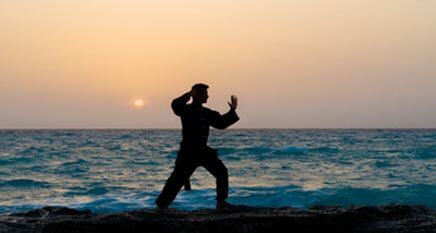 In addition to the numerous activities offered at the Ayurveda resort, including yoga, tai chi and music therapy, you have many options for excursions away from the resort. In the small town of Ahungalla you can either enjoy a walk on the beautiful beach, take a tour with the bicycle or do some sightseeing. Also recommended is a visit to the turtle sanctuary in Kosgoda or a trip to the picturesque city of Galle. We will be happy to further advise you on site about the various options for daily excursions.